PASCO, Wash. — An Idaho rancher says 29 of his cows died in winter storms in Washington state, but investigators suspect he let them starve. 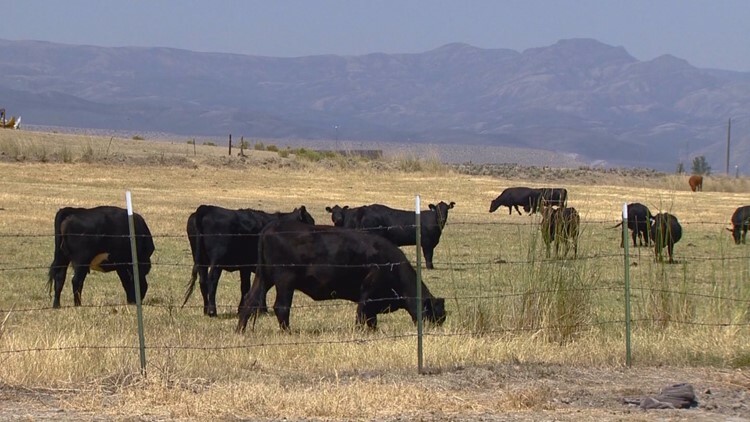 The Franklin County Sheriff's Office said investigators received a report from a witness who spotted dead cattle on Bureau of Land Management property off Highway 395. Deputies flew over the area and saw the carcasses scattered across less than a third of a square mile (over 0.8 square kilometers), Capt. Monty Huber said. On Feb. 26, Franklin County deputies found him in a warehouse parking lot on the Pasco-Kahlotus highway hitching up a $9,000 trailer and 500-gallon (1,893-liter) stainless steel water tank. Marek told deputies he was letting the water in the tank thaw but didn't tell them that he borrowed the trailer in 2015 and never returned it, according to court records. He's awaiting trial on four charges, including possessing stolen property, obstructing law enforcement and resisting arrest.